Sweets, dulces and postres are everywhere you look in Argentina. 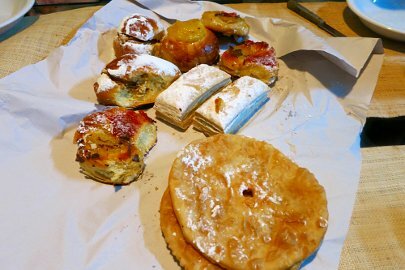 Argentinians have a love affair with these delicious but calorie laden delights. Bakeries or panaderias, ice-cream stores or Helados and the famous alfajores tempt you at every corner. We cannot talk about authentic food in Argentina without talking about the postres the country has to offer or Argentinian desserts. Every meal is a reason to have something sweet, and you will have plenty to choose from. To make it easier for you, we are highlighting the top 5 authentic desserts in Argentina that you should experience. You cannot miss dulce de leche when you come to Argentina. 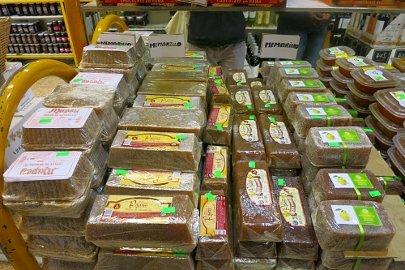 It is everywhere and used in all types of Argentinian desserts and sweets. It is made of sweetened milk that is heated and becomes caramelized to create this nice sweet caramel milk paste. It is eaten practically at all meal times, including breakfast where it is spread on bread or toast. 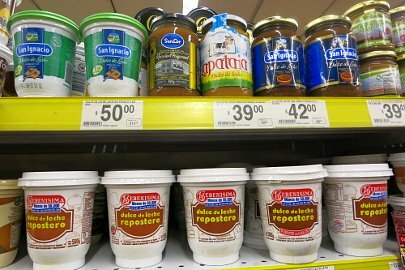 You will easily find dulce de leche at all supermarkets, but we would highly recommend that you try an artisanal or homemade dulce de leche to avoid the artificial sweet taste that you may find in industrial ones. Dulce de leche is also used in one of the easiest dessert to make, chocotorta. It is a chocolate cake made of chocolate cookies dipped in coffee and layered with dulce de leche and creamed cheese. The best part is that you don’t even have to bake it! A chocoholics dream come true!! 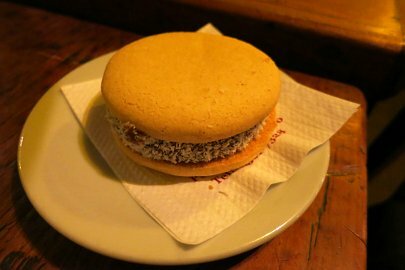 Alfajores are some of the most prevalent sweet specialty in Argentina. They are a type of cookie made of two sweet cornstarch biscuits joined together with dulce de leche. You will find alfajores coated with dark or white chocolate, or simply covered with coconut or sugar powder. 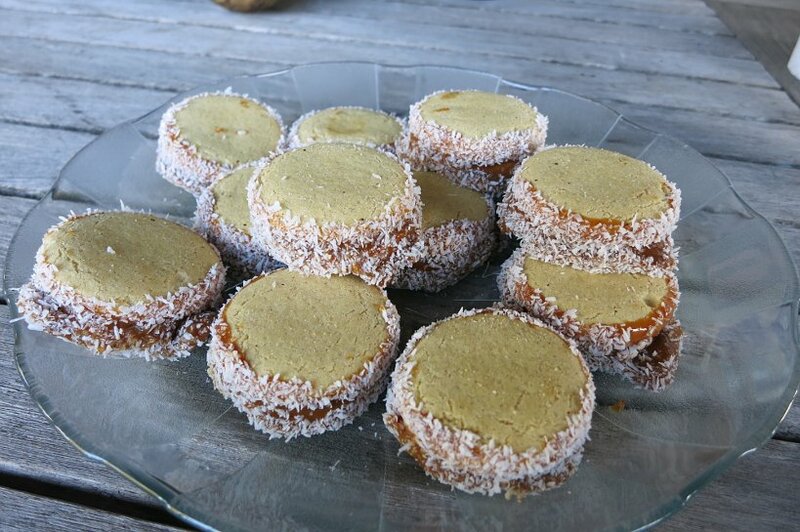 These Argentinian cookies can be eaten for breakfast, as a dessert at lunch or dinner, or as a snack to accompany the tea, coffee or mate (traditional drink of Argentina). 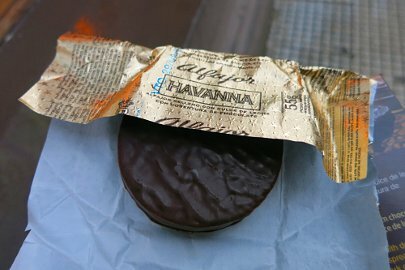 Alfajores are sold in panaderias (bakeries) as well as cafes or in individual packets at specialty stores like Havana, which offer some of the best in Argentina. Although they are rich and sweet, they are not overwhelmingly sugary, it’s very easy to get tempted to eat one every single day. We discovered this amazing Argentina dessert outside on our first trip to the Pampas for an asado. It was there that everyone was eagerly waiting for aunt Sandra’s homemade rogel cake. 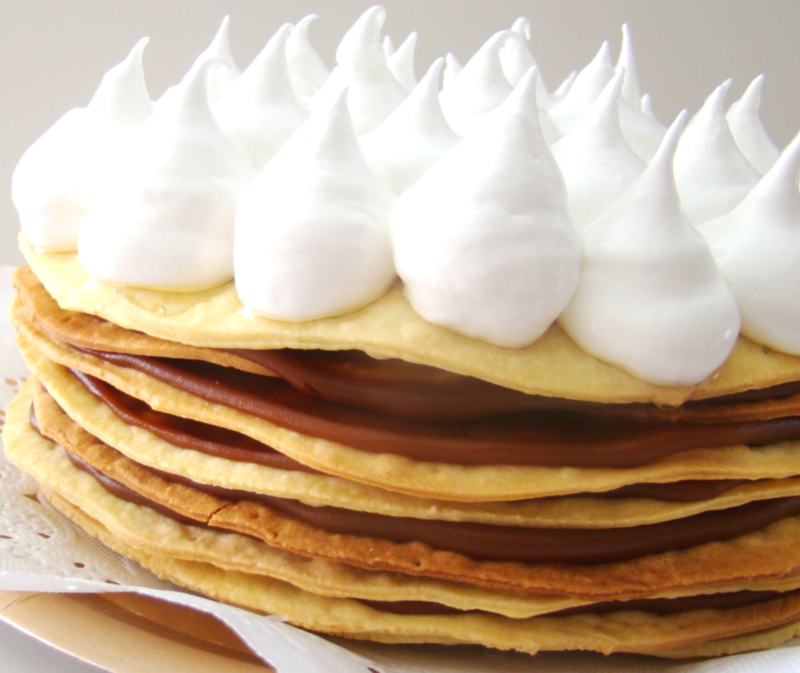 Rogel is a unique Argentina cake made of several layers of light pastry separated by dulce de leche and topped with meringue. The layers of pastry are thin and make for a nice soft cake. The gooey meringue adds a new level of sweetness that can make it a little too sweet. Nonetheless, the combination of textures mixed with dulce de leche is a sure winner! This Argentinian dessert is off the beaten path and is based on the fall fruit called Membrillo or Quince in English. This fruit looks like a bumpy pear, but it is not sweet in it’s raw state. Argentina actually ranks among the world’s top producers of quince. The most popular culinary use for quince in Argentina is dulce de membrillo. It is not too sweet and a popular filling for facturas (tiny little pastries sold at most bakeries), in tarts, Argentine pastries such as pastelitos or sold as a paste for budin (cake). You will also find dulce de membrillo paired with cheese on another off the beaten path dessert called Vigilante. This is another unique dessert in Argentina that is not commonly served in restaurant. It helps to know about it in advance because it is not often sold at restaurants. Most porteños eat Vigilante at home. 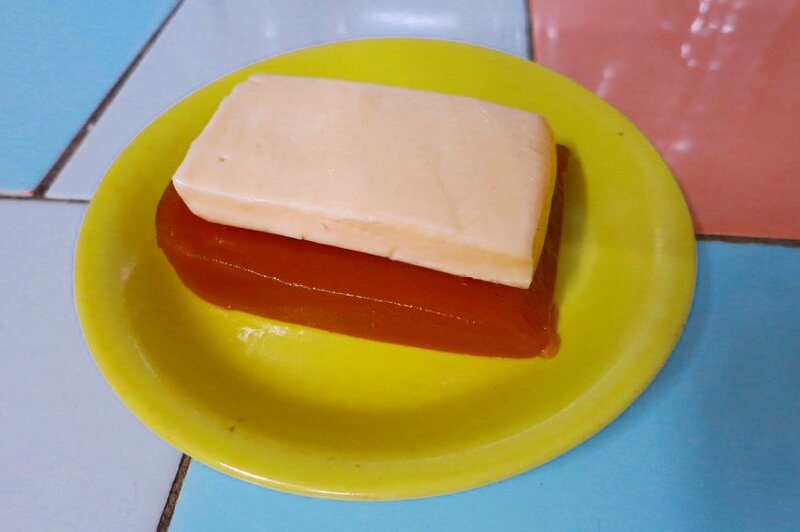 It is a very simple two part Argentinian dessert which consists of two slices of paste and cheese. The sweet paste part can be either dulce de membrillo or dulce de batata (sweet potato paste). The second part is a slice of queso or cheese that is similar to a Gouda. We recommend to try the one with the dulce de batata. It not intensely sweet, it doesn’t taste like a potato and it literally melts in your mouth. Argentina has many more sweets, dulces, and postres and it seems that every time we meet new people we find out about a new Argentina dessert. 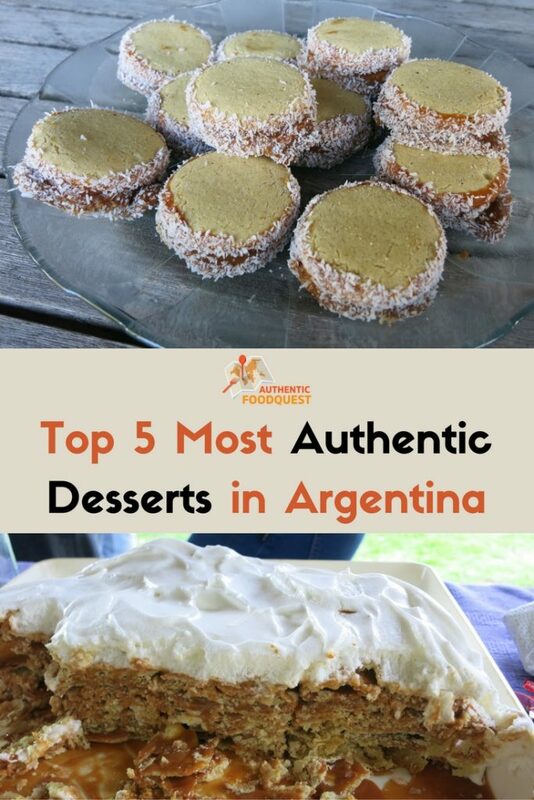 To complete this list of the top 5 authentic desserts in Argentina, we would like to add the following four that are also part of the Argentina dessert culture. The abundance of Heladerias (ice cream parlors) speaks to the popularity of helados or Argentina ice cream. 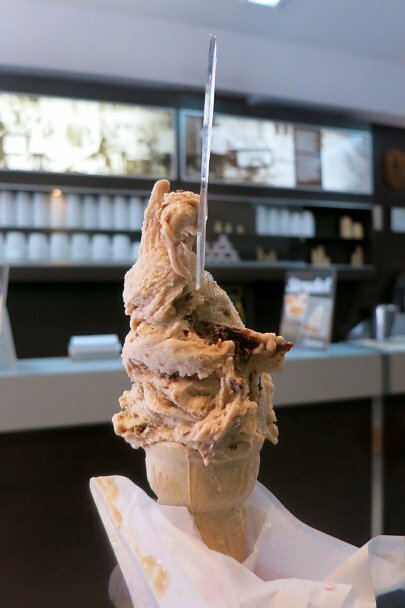 Brought to Argentina by Italian immigrants, Argentina’s have perfected the recipe which is more similar to gelato. Our previous article about the Italian influence in Argentina goes into much more detail about helados. 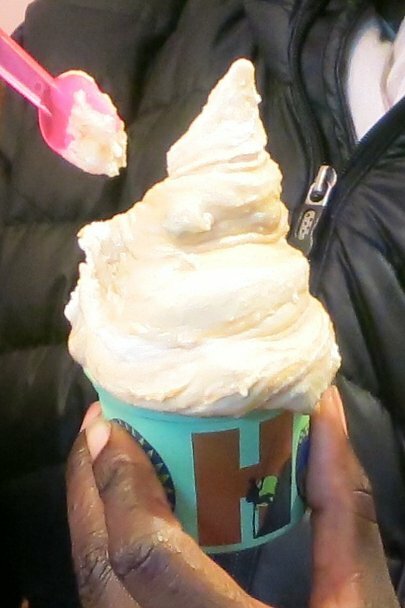 For now, we say indulge in helados and try the very popular dulce de leche flavor. 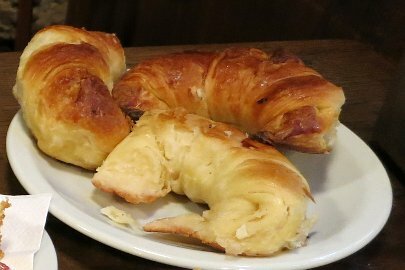 Medialunas are popular Argentine pastries which have the traditional crescent or half-moon shape of French croissants. Compared to French croissants, they are a taste sweeter and are a little more doughy. 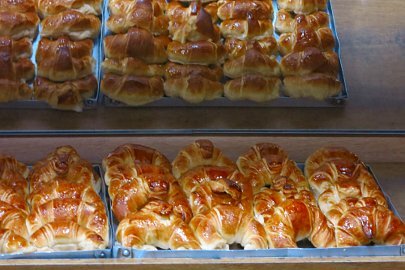 They can be found at panaderias as part of the Argentinian pastries or facturas that are often sold by the dozen. There is always a good time of Medialunas. At breakfast, with coffee or at the merienda, which is “Argentine tea time” designed to tide people over until a late dinner. During merianda, medialunas are usually served with cafe de leche (coffee with milk). Our previous article 10 surprising discoveries about Buenos Aires goes into more detail about merienda, coffee and medialunas. 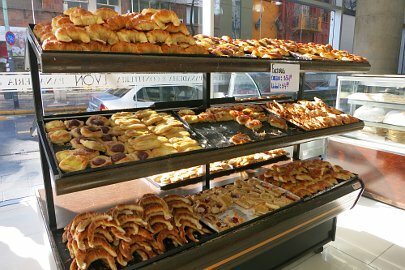 Facturas are the name given for Argentine pastries that can be found at the many panaderias around the country. These little pastries are often sold individually or by the dozen. These Argentine pastries are covered with sugar and are usually filled with dulce de leche, crema pastelera (custard) or dulce de membrillo. They are also available plain and without any filling. We’ve outlined popular and traditional Argentinian desserts as well as some that are off the beaten path for your enjoyment. If any of these desserts tempted you, we recommend the book Dulce de Leche which highlight many Argentinian dessert recipes. Feel free to reach out and let us know if you would like to see your favorite Argentinian dessert added on this list. 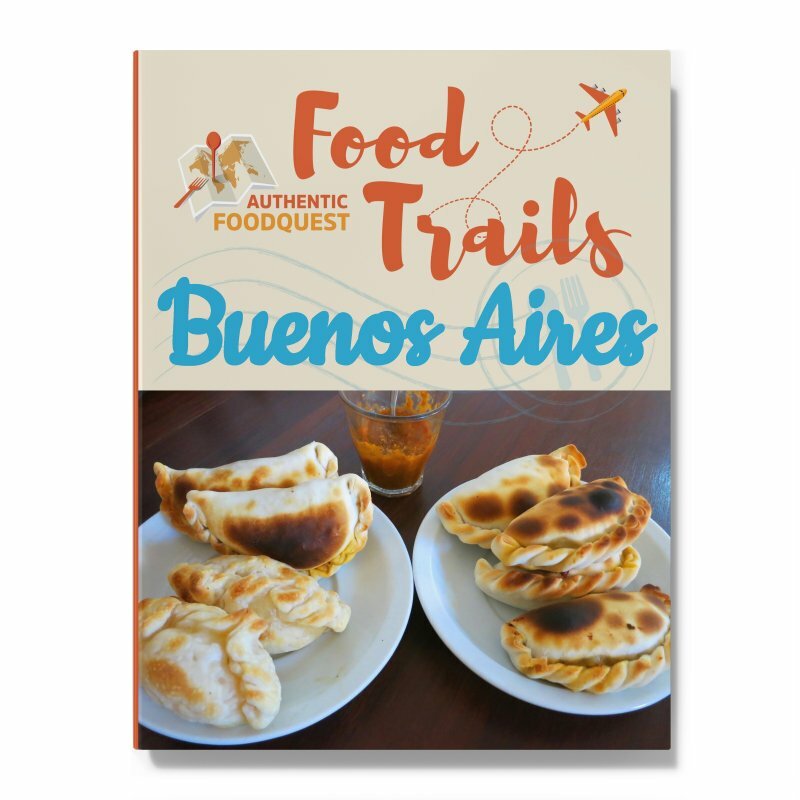 Our book Authentic Food Quest Argentina takes you on a culinary tour through four main regions of the country. Discover the must-eat local specialities and taste the best of Argentina on your travels. If visiting Peru or Machu Picchu is your travel plans. Let Authentic Food Quest Peru guide you through the amazing and local culinary delights. Planning on visiting Buenos Aires? the self-guided food trail to navigate the local food scene. For only $3.99, get the local insights on what and where to eat. I feel like I just relived my trip to Argentina by reading your blog post! : ) I’m pretty sure I tried every single dessert you mentioned. Except Rogel, I didn’t know about that one. I’ll put it on my list for next time! Hi Cate, so glad that this blog post took you down memory lane in Argentina. 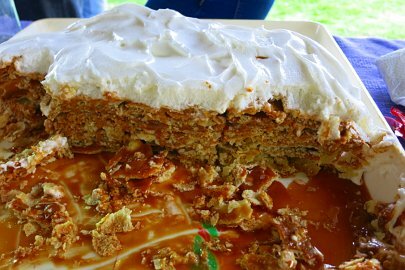 The way that we discovered Rogel was at an Asado at a locals home. You may be able to find Rogel at the stores, but you may need to ask around for it. It is worth the hunt and delicious. Let us know what you think when you eat it in Argentina! Thanks for your comments. Hi, glad you got some ideas for dessert night. Do let us know which ones you end up making. Cheers! Hi there, so glad you would love to share our blog with your group. Feel free to do so and reach out with any questions. Cheers. Hi girls. I ´m an argie and I love your website. It´s proud for me, as argentine, how you enjoyed our food,/wines,/desserts/beers, etc . I write you for make a correction about the Rogel. That picture is not a Rogel. 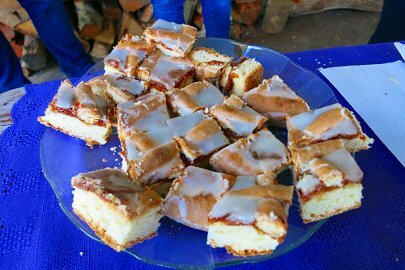 It´s a bit similar dessert named Mil Hojas (Thousand Sheets). Both are similar, but rogel layers are wider (http://d26lpennugtm8s.cloudfront.net/stores/928/products/2014-08-28-18-05-34-c22a5d9c0877fed5ccbcb7c977fa02a6-1024-1024.png). 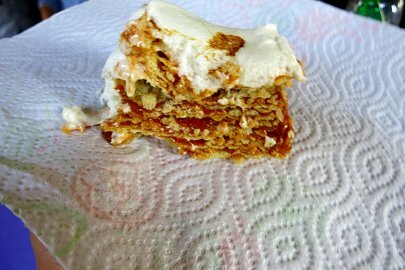 The MilHojas are really crunchier tan Rogel and for me, it´s tastier. Some argentinians also mistake about Rogel and MilHojas. Yummy! Never been to Argentina but been seeing Alfajores more and more in menus here in DC. I am not big into sweets but can appreciate one or two with a nice coffee. Would love to taste one in a cafe in Buenos Aires! Hi Jessica, the next time you see alfajores on a menu, go for it. In our opinion, while the taste of dulce de leche is sweet, it is not artificially sweetened with high fructose corn syrup and such. The taste is unique and worth trying. Give it a taste in your city and then compare that on your future trip to Buenos Aires. You’ll love it!! Awesome!! Glad this article went straight to your “sweet” heart! Argentinians love their sweets and they are good!!! Thanks for stopping by. Oh man, you’re killing me. There is an Argentinian bakery in Dallas. I’m heading there, NOW! I haven’t been to Argentina but when I was in Melbourne, Australia, I went to one Argentinian restaurant and tried dulce de leche and alfajores there, Totally loved them! Have been looking for opportunities to try out more Argentinian food and desserts like you’ve listed above but unfortunately Argentinian restaurants are so hard to find in SE Asia. Thanks so much and glad to read that you have enjoyed the delights of alfajores and dulce de leche. The next time you are visiting a region with an Argentinian restaurant, give it a go again. Thanks for stopping by. Considering I just ate dinner i now want all of these for dessert. The Alfajores look especially amazing! Thanks Candiss, we totally appreciate your sentiments. Happens to us all the time when writing about food 🙂 Cheers! Looks like some fantastic eats! I love finding those foodie treasures, and these look like just that! I would want to make the effort to find Rogel. It sounds super yummy! Thank you Paige and so glad you enjoyed reading about the yummy delights. That rogel is outstanding. Difficult to find at a restaurant or bakery, but incredibly worth it with 🙂 Let us know if you do try and make it. Cheers! My weakness! Everything looks yum! All of these desserts look so tasty and delicious! The rogel looks particularly scrumptious. Layers of pastry are my weakness. Great guide to the desserts of Argentina! Wow. These all look great. I love dulce de leche, but I’ve never had the rest of these… and now I’m starving! This makes me want to go grab some desserts, but it’s hard to find authentic ones like those on your list! The 3-Rogel is the most interesting to me!!! Lovely post! As an argentinian, im glad that you enjoyed our postres. And dont forget the flan with dulce de leche! That is one of the most classic ones, you will find it at every restorant. Kisses! Thank you, Flor and a great addition to the article – flan with dulce de leche. The food in Argentina is delightful and the postres are wonderful. We enjoyed and highly recommend Argentinian food and wine, always! Cheers. Lol…don’t fear, enjoy the local sweets in moderation and then check out our other article about keeping fit in Buenos Aires. That way you’ll have the best of both worlds 🙂 Cheers.